Our father Jose Miguel Zendoia​ was the original figure behind Txakoli Katxiña. The Hondarrabi Zuri vines have grown around the entrance to the family homestead for longer than he can remember. It has been a family tradition for generations to make txakoli wine to enjoy with friends and family members. He met our mother Maria Pilar Etxezarreta in Orio, a fishing village close to San Sebastián. 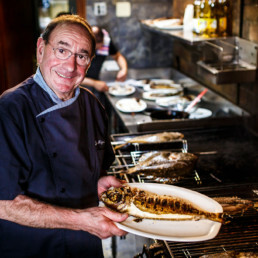 40 years ago, the family opened a restaurant called Asador Katxiña where they would grill meat and fish on a barbecue. 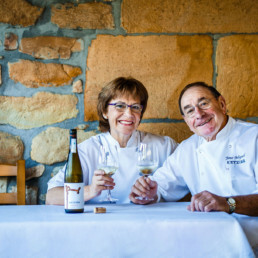 Their passion for fresh, high-quality produce has led them to make waves on the Basque culinary scene, and they are now reference figures within the industry. Jose Miguel Zendoia always continued to make txakoli wine. Following the instructions of his forebears, he would create the wine and offer it to his friends and clients to sample. Before entering the dining area, they would pass by the grill to greet him, and in those days he would harvest the grapes himself and seek out the opinion of his friends. 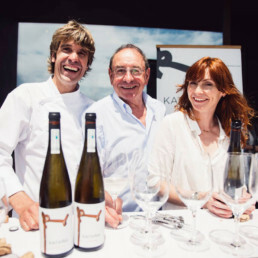 Although the txakoli wine was a great success, there was one problem: it could not be placed on the table without having its own label. When his children, Iñaki and Izaskun Zendoia, became aware of their father’s desire to release the wine they decided to make his dream a reality. In 2018, the Bodega Katxiña Restaurant was declared the World’s Best Luxury Brasserie 2018according to the World Luxury Restaurant Awards. The news caught us completely by surprise, but it was a great encouragement to keep us going along the path we had started to walk. It was also music to our parents’ ears, who were about to make a very big decision. 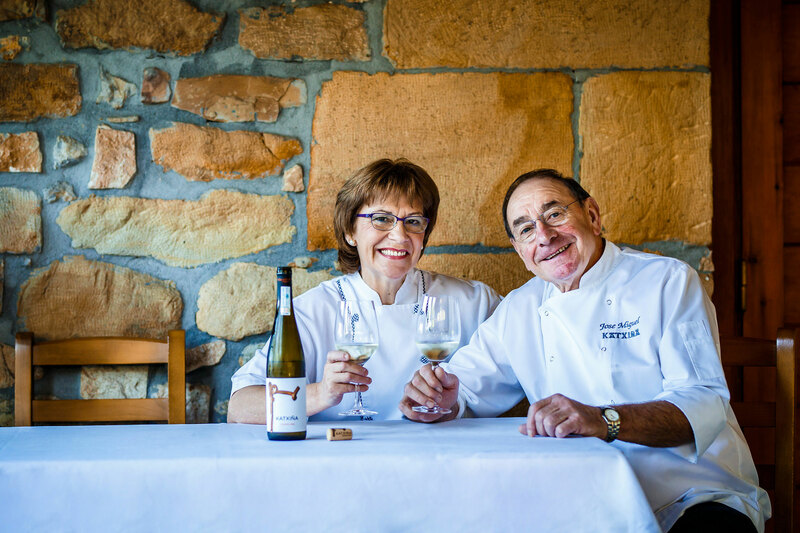 In late 2018, right before the establishment’s 40th anniversary, our parents and relatives decided to take their hard‑earned retirement and close the Katxiña Brasserie. 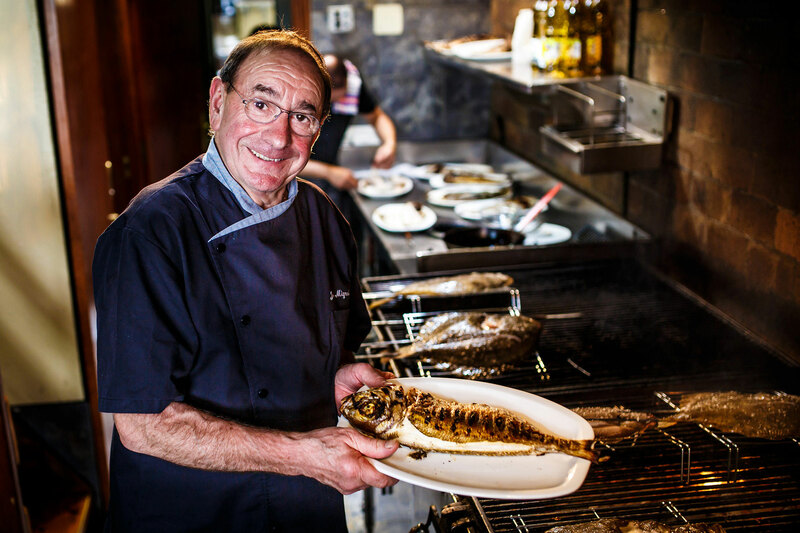 Now, it is up to us to keep history alive at the Bodega Katxiña Restaurant. We knew that we wanted to make a pleasant and well-balanced txakoli that would cater to contemporary palates and in order to achieve this, we chose the most promising terrain, planted 8 hectares of vineyards and built a wine cellar in the very heart of them. 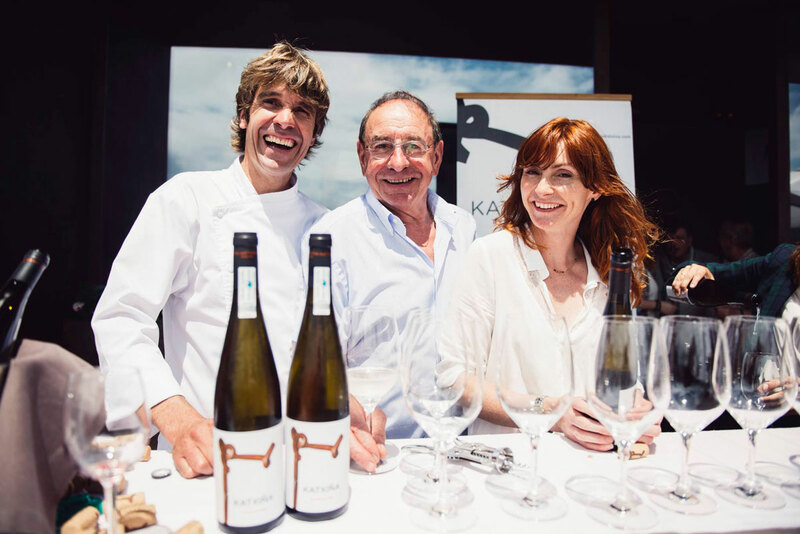 In the year 2014 we launched the first Txakoli Katxiña wine onto the market. Our dream became a reality when we were able to experience the pleasure of presenting this wine at the table of the grill. 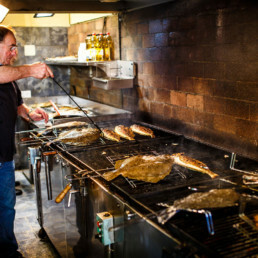 We were born and raised at the grill, and this is what my brother Iñaki loves the most. From an early age, he learned to roast fish and meat on charcoal with our father, and now this is his time to shine. After only two years of managing the new restaurant at the winery, Iñaki Zendoia has succeeded in creating one of the most highly-renowned dining spaces in Basque cuisine. 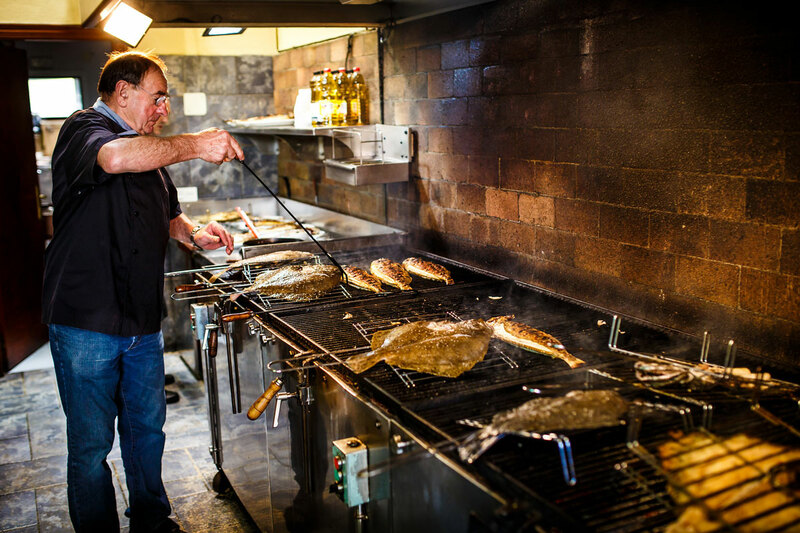 The food brings out the best of its ingredients, elegantly blending fresh produce from the earth with the flavours of the Cantabrian Sea and the exquisite aromas of the grill. We are very proud to share our culinary heritage with you and we are committed to working to present the best possible cuisine from the Basque Coast.